Why spend a few hours on May 11th running or walking to keep pet families together? 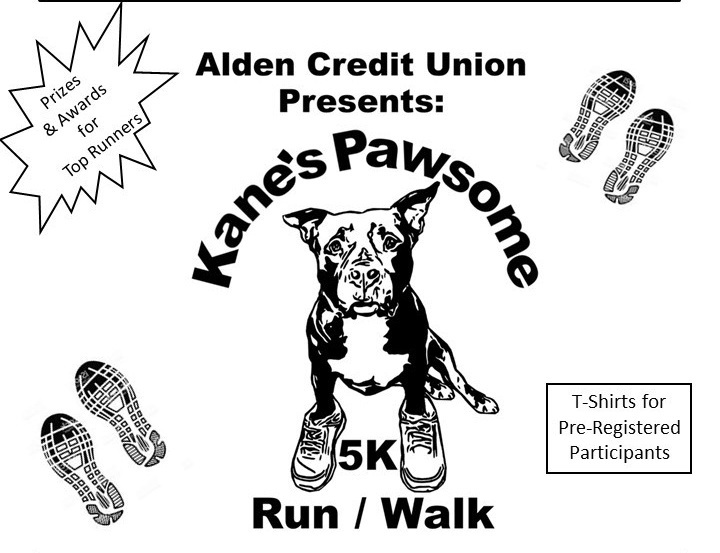 When you support Kane's Pawsome 5K, your donation of time and/or money keeps loved dogs out of shelters. It keeps a cherished dog with their elderly or disabled companion. It ensures children can grow up with their best friend. It lifts people up in your community, as well as their dogs. And it’s great for your health and your pups! MAY 11TH - RUN/WALK TO KEEP PET FAMILIES TOGETHER! The first run/walk with the sole purpose of keeping pet families together in Western Massachusetts! Dogs, bring your well-behaved hoomans! Food, vendors, prizes, music! Celebrate Spring, get outside with your family and best furrends - two and four legged - for a pawsome cause! Form a team! Raise donations to compete for pawsome prizes and more! Inaugural t-shirts for the first 100 registrants! Dogs, Register Your Hoomans Here!